Choosing the right call center for small businesses can seem like a daunting process. The challenge is much easier to tackle if you ask yourself some simple questions that will help determine what you are looking for. What is my overall goal in hiring a call center for my small business? It is important to determine what your focus is. Are you trying to increase sales, improve your customer satisfaction, reduce your overhead, or something else? If you know your destination it will help you chose the right path to get there. What services do I want the call center to perform? Call center services break down into two broad categories – sales or customer service support. Sales support includes services like answering calls from marketing campaigns, capturing and qualifying leads, scheduling appointments with salespeople, supporting a website, and taking orders. Customer service support may involve services like a virtual receptionist, a help desk, dispatching field service personnel and making outbound calls to clients for service reminders and customer satisfaction surveys. When do I need the support of a call center for small business? Do you need help after-hours because you do business in other time-zones or get calls from marketing campaigns during that time? Are you having difficulty handling peak times of day or seasonal heavy traffic? 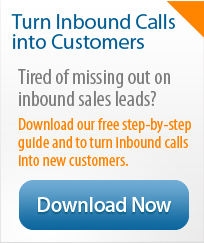 Are there specific kinds of calls that you would prefer to outsource all of the time? What other factors do I need to keep in mind? It is important to acknowledge how complex your calls are. For example, do you need help desk support that requires specialized training and knowledge of industry terms? Will your call center be required to interact with your own software applications? The more complexity you require the more important the experience of your call center will become. You will not be able to use a call center that only has experience taking basic messages. Size can also matter. 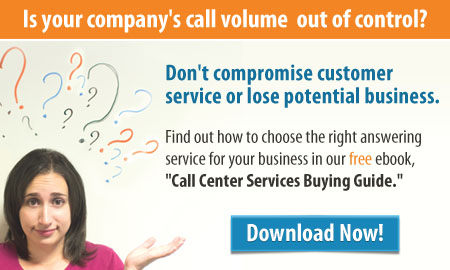 You may need a call center for small business if you have a moderate volume of highly complex calls. Giant call centers are often geared toward simple, high volume traffic. Reporting is another issue. Do you need to have an audit trail of everything that happened on each call and when it happened? This may be true if you need systems of accountability for your personnel. What are “red flags” that will help me recognize when a call center is a bad fit? The big three are a lack of responsiveness, experience and process. From the very beginning you should expect your call center to follow-up with you in a timely manner, have relevant experience in the areas where you need assistance and have an actual documented process for determining your needs and maintaining your account. If they don’t ask good questions before you even start and then they don’t assign a single-point-of-contact to you to handle your account set-up and management – you may have serious problems. What criteria could you add to your selection process to ensure a successful relationship? « Previous Post: What is the Secret for Continuous Improvement? Laurie Leonard is the President of SUITE 1000, a U.S. based national telephone answering service. Her company has specialized in handling sales leads, appointment scheduling, and customer service calls for over 30 years.